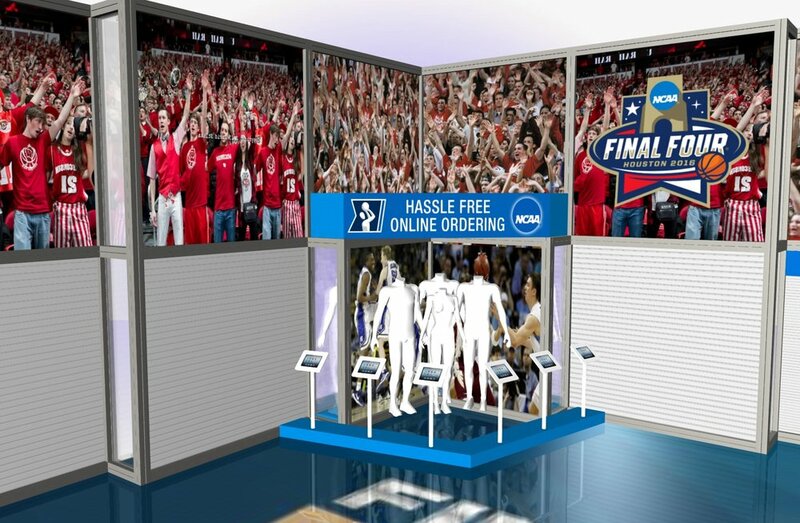 Creating an authentic team store for NCAA Final Four, Houston 2016. 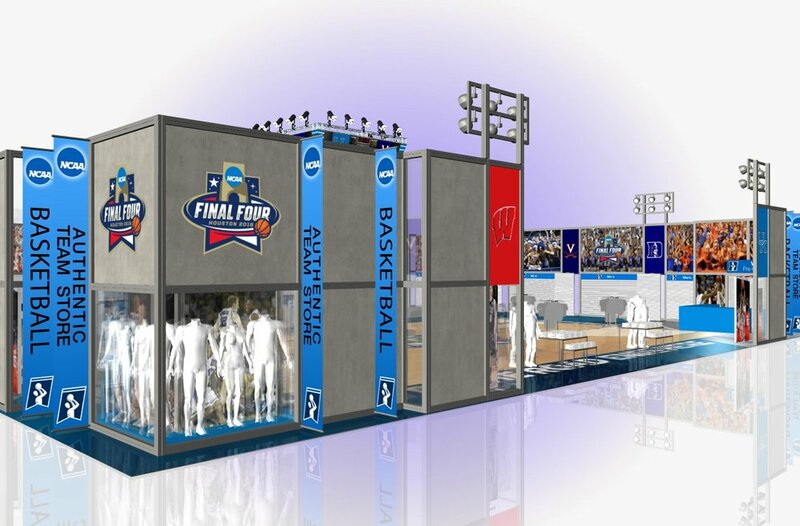 An 8,000 square foot pop-up retail environment. The objective was to present a high-end retail experience. We were responsible for designing the environment, managing the build-out, providing planograms and merchandisers, developing comprehensive storage, and organizing effective traffic patterns. 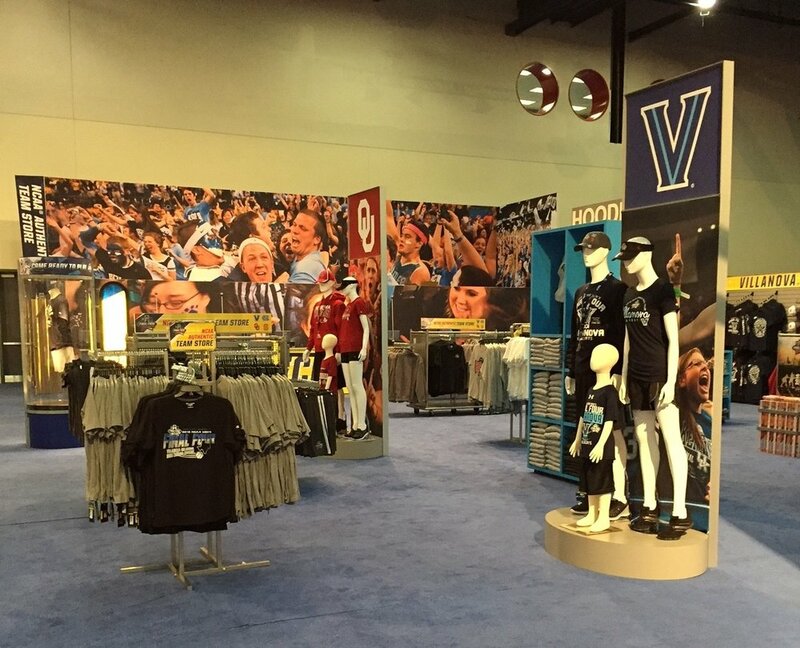 The strategy of the Fan Fest organizers was to funnel the fans through the team store and drive sales by creating a higher quality retail environment than what had ever existed before. 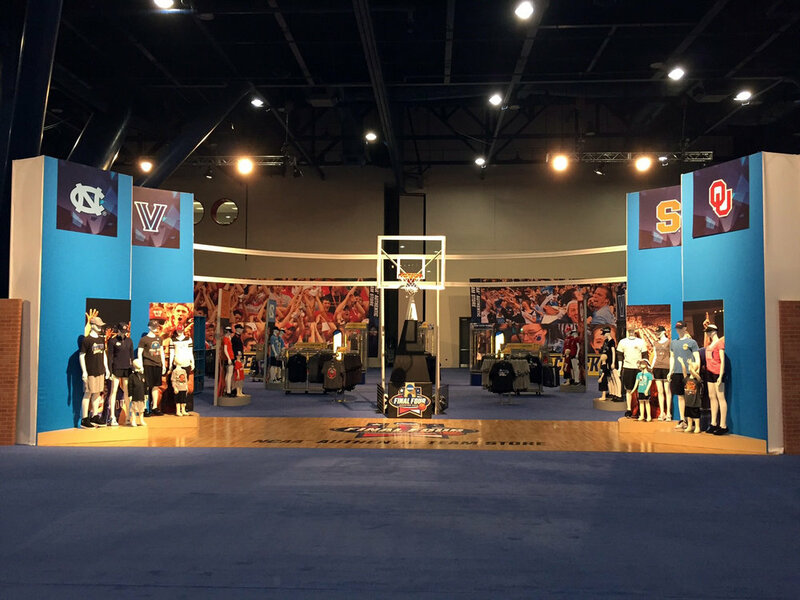 The use of elegant cylindrical display cases, mannequins and large format graphics was completely new for them. 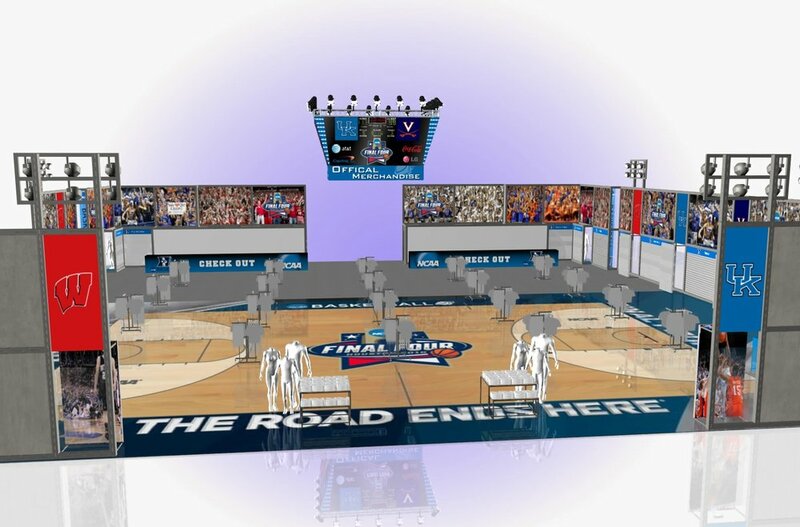 We wanted to recreate and reinforce the championship basketball theme at the front entrance; a showcase that would set the stage for what fans would experience inside. 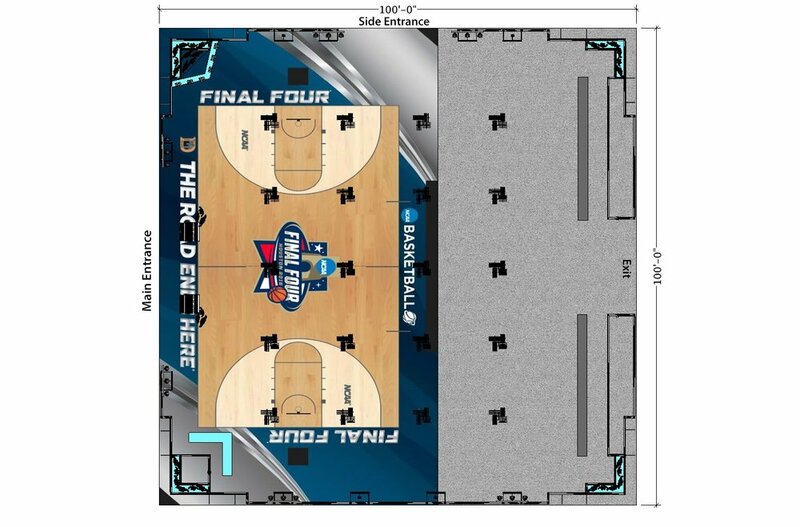 Final Four branded merchandise was located on both sides up front and all four teams were represented in their designated areas. 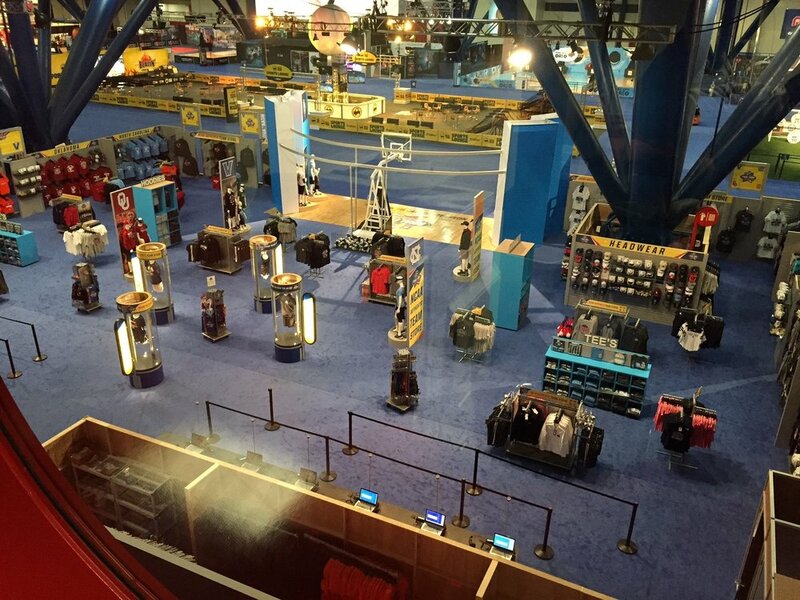 The store environment caused guests to feel like they were caught up in the game experience – as if they were still up in the bleachers surrounded by a crowd of cheering fans. 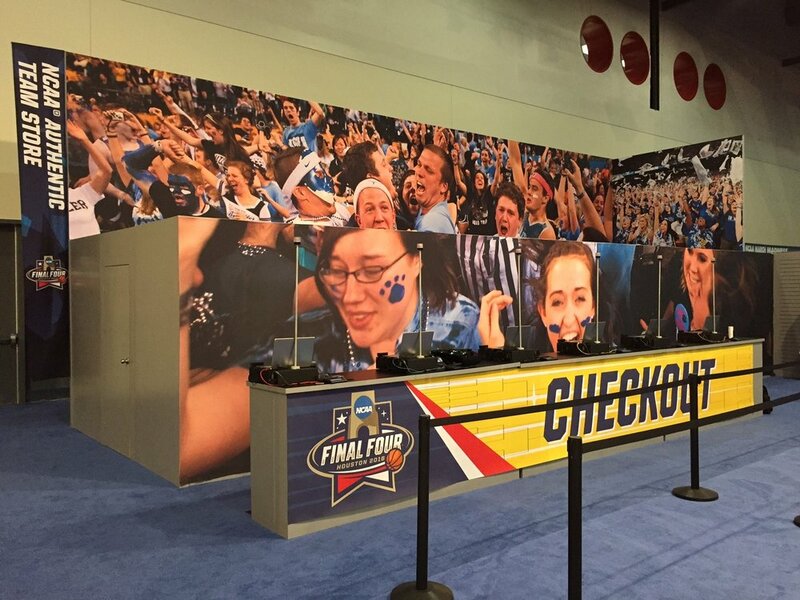 NCAA was extremely happy with the environment and said that it enhanced the overall look and feel of the Fan Fest.